Comet Over Hollywood is doing a mini-series of “Classics in the Carolinas.” I’ll be spotlighting classic movie related topics in South Carolina (my home state) and North Carolina (where I currently live and work). Stanley Donen was born in 1924 in Columbia, S.C.-the capital of South Carolina. He left the south for New York when he was a teenager. Donen described his childhood as an unhappy one in a 1983 book by Joseph Andrew Casper. His parents were of the Jewish faith. Though Donen did not identify with the religion, he was taunted by anti-Semitic classmates in the late 1920s and early 1930s. Due to the bullying he endured in his youth, Donen did not recall the city fondly in interviews. 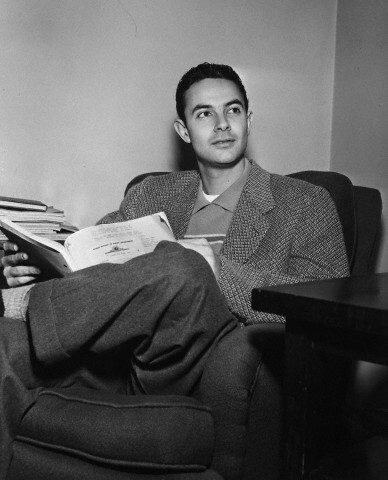 “It was sleepy, it was awful, I hated growing up there, and I couldn’t wait to get out,” Donen said in the book Stephen M. Silverman, Dancing on the Ceiling: Stanley Donen and His Movies. In his 2006 Turner Classic Movies Private Screenings interview with Robert Osborne, Donen described Columbia as a “small town.” At the time, Columbia was probably a small, but now, is the largest city in South Carolina. Donen would have been named after his grandfather, Issac, but his mother felt Issac would make for a bad life in the south, so he was named Stanley instead, according to the book. After school to escape from his unhappiness, Donen went to the movies. After watching Astaire and Rogers, he started taking dance lessons in Columbia and performed at the Town Theater. His mother encouraged him to move to New York and in 1940, at the age of 16, he found himself as a chorus boy in “Pal Joey” with Gene Kelly as the lead. Kelly asked him to be the assistant choreographer and the show’s stage manager. 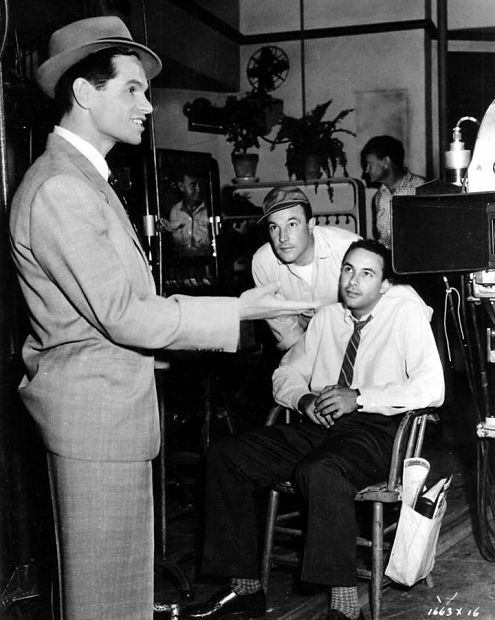 In 1943, Donen went to Hollywood and helped choreograph the film “Best Foot Forward” starring Lucille Ball. Donen was the stage manager for the play on Broadway, which starred Rosemary Lane. When the film rights were bought by MGM for the play, Donen went to Hollywood along with some of the play cast which included June Allyson and Nancy Walker, according to Allyson’s autobiography. The first film he directed in Hollywood was “On the Town” (1948). 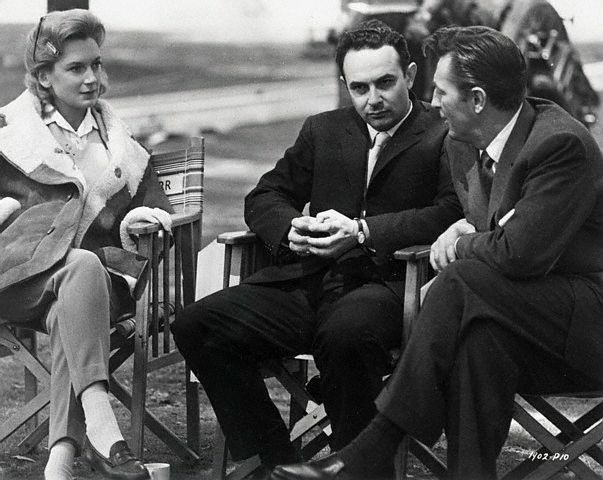 He continued on directing some of the most famous Hollywood films including “Singin’ In the Rain” (1952), “Seven Brides For Seven Brothers” (1954) and “Charade” (1963). Stars he directed include Cary Grant, Audrey Hepburn, Gene Kelly, Fred Astaire and Sophia Loren. Though Donen’s life in Columbia wasn’t a happy one, he influenced one woman with her dance career. Naomi Calvert, who co-owned the Columbia dance institution Calvert-Brodie dance studio, studied under Donen as well as Tim McCoy, who helped Vera-Ellen. She co-owned a reputable dance studio in Columbia called Calvert-Brodie, along with Ann Brodie, for over 30 years. Calvert passed away in 2016. These weren’t children bouncing their hip and shaking their finger at the audience. These were themed dance recitals, such as a patriotic theme and a circus theme. They would begin with an opening number. The circus show was complete with a person on a trapeze, and the patriotic show had little girls tap dancing with drums. My oldest sister, Erin, had a tap solo. Clearly, Mr. Donen influenced her craft. Though my father grew up in Columbia as an Army brat and we lived there as a family for six years, it isn’t the Pickens family’s favorite place either. While Donen didn’t remember his hometown fondly, I’m also disheartened to see that he often isn’t remembered by his birthplace either. For his 90th birthday in 2014, a non-profit movie theater held a film retrospective, and in 2017 he was inducted into the South Carolina Hall of Fame. Otherwise, any recognition is few and far between, even by The State newspaper on the day of his death. The town that mistreated him in his youth has also unfortunately forgotten one of the most vibrant film directors of film history. This entry was posted in Classics in the Carolinas and tagged Best Foot Forward, Calvert-Brodie, Charade, Columbia, Cover Girl, Naomi Calvert, On the Town, Singin' in the Rain, South Carolina, Stanley Donen by Jnpickens. Bookmark the permalink. 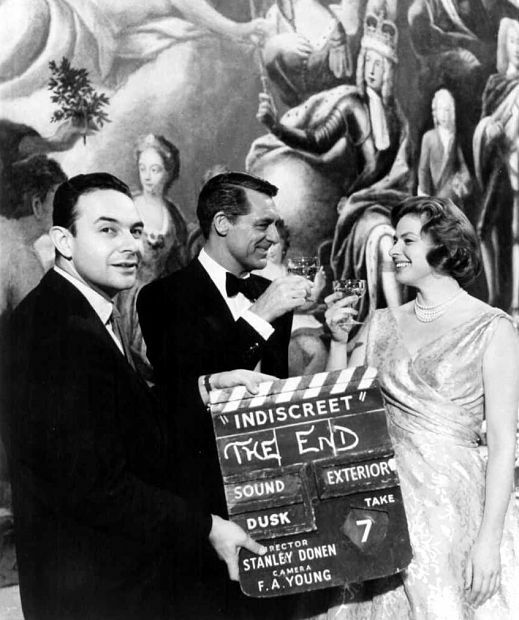 Jessica, as a Stanley Donen fan ever since I first saw CHARADE as a youngster, I very much enjoyed your post about Stanley Donen growing up in Columbia, S.C. was a fascinating read and quite an eye-opener! I’m so sorry that Donen had to put up with so many Anti-Semitic idiots. I applaud Stanley for triumphing over his hard times; that’ll show ’em! Excellent post, Jessica! Hey Dorian! Wasn’t he talented? It was rather sad to read and write about but certainly wasn’t going to hide the truth! It was a different time and I’m glad he went on to be successful! Having lived in the Charleston area of South Carolina for over a decade now I can fully appreciate how unhappy Donen must’ve been. There’s a line from an obscure song which was written about south Austin that applies equally here: “You stay here long enough your neck’ll turn red!” It’s the absolute truth. I know racism tends to be present practically everywhere, but here’s where it’s the most overt. “Southern hospitality”? The “genteel South”? Bah! We lived in North Augusta, SC for 5 years in the late 80’s, early 90’s. I taught school in Aiken. Being from OH, it did take my husband and I a while to get used to southern ways; took me awhile to get used to my students saying, “Yes, Ma’am” and “No Ma’am”! Looking back, I do have fond memories of SC, and loved those mild winters! I’ve been in that area a few times!